Adhesive vinyl brown packaging tapes are mainly used by warehouse box packing, We also have tape guns, pallet wrap and packaging boxes in stock. 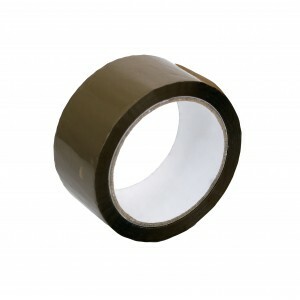 Brown Tape Std PP 48mm x 66m We supply an extensive range of adhesive tapes for every situation. ..
48mm Vibac 831 Low Noise Brown Tape The Vibac 831 low noise brown self adhesive tape made of poly..